What a find! At a yard sale a good friend scored a copy of J.R.R. 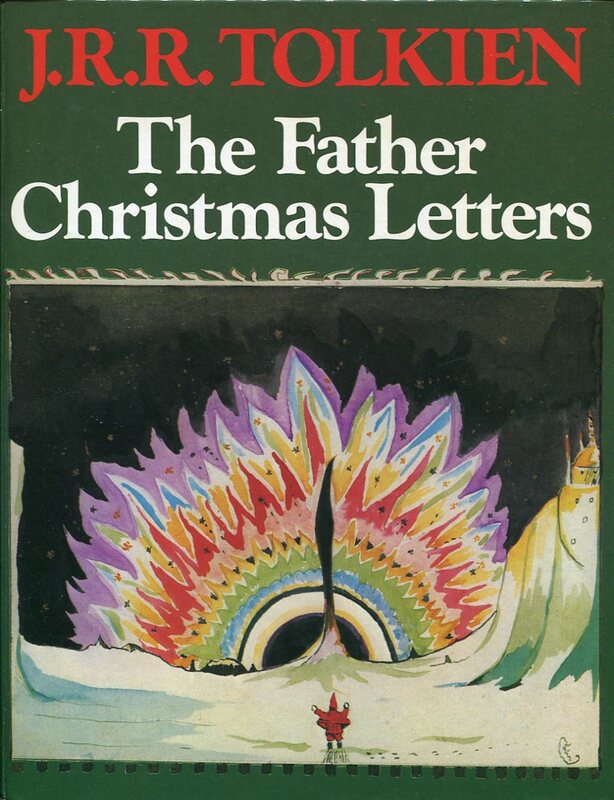 Tolkien’s The Father Christmas Letters and she was good enough to give it to me. Published by his daughter-in-law in 1976 on the 3rd anniversary of Tolkien’s death, this is a stunning collection of art and humorous writing. If you haven’t completed all your Christmas shopping yet, there are multiple editions around that would make wonderful Christmas gifts for older children or Tolkien fans–though you might need express shipping or the hopsitality of a used bookstore. It is a great story. 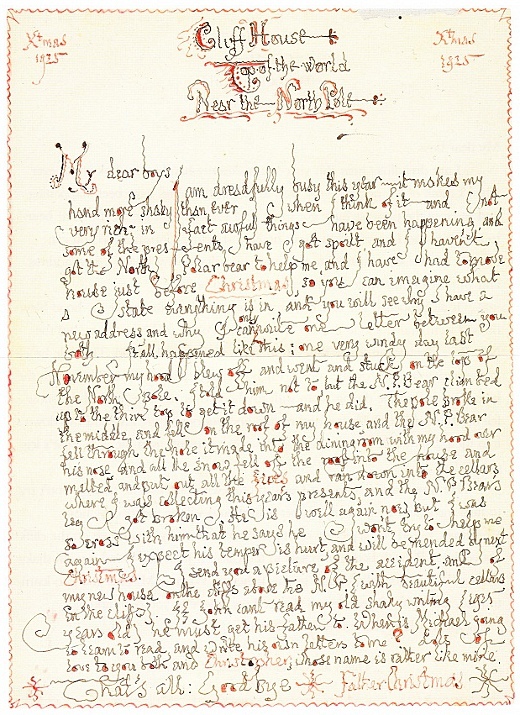 From his first child’s toddlerhood to the end of his last child’s Christmas innocence, Tolkien wrote letters from Father Christmas each year. 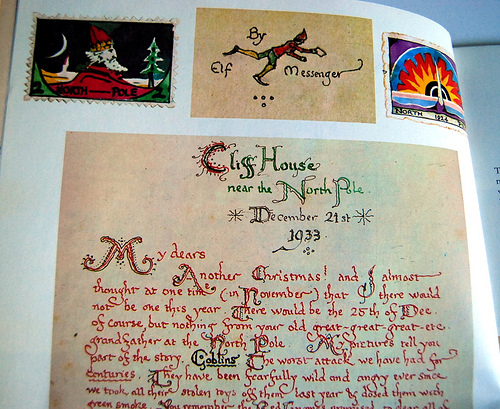 These letters were carefully delivered to the Tolkien family mantel each year. 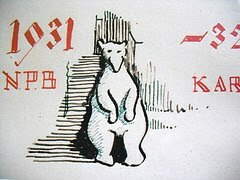 They include beautiful art, hand-drawn stamps, the hilarious antics of a polar bear, and personal notes in Father Christmas’ shaky handwriting. 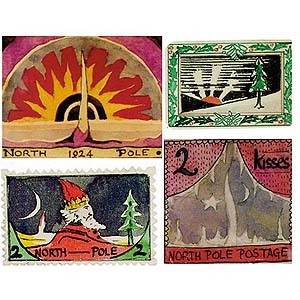 The children received these letters each year with delight and wonder, finding themselves lost in the myth as long as they could. I am thrilled to own this book and wish I had: a) thought of it myself; and b) the skill to do it. So I will let the work speak for itself, posting a few examples of the artwork and some transcripts. 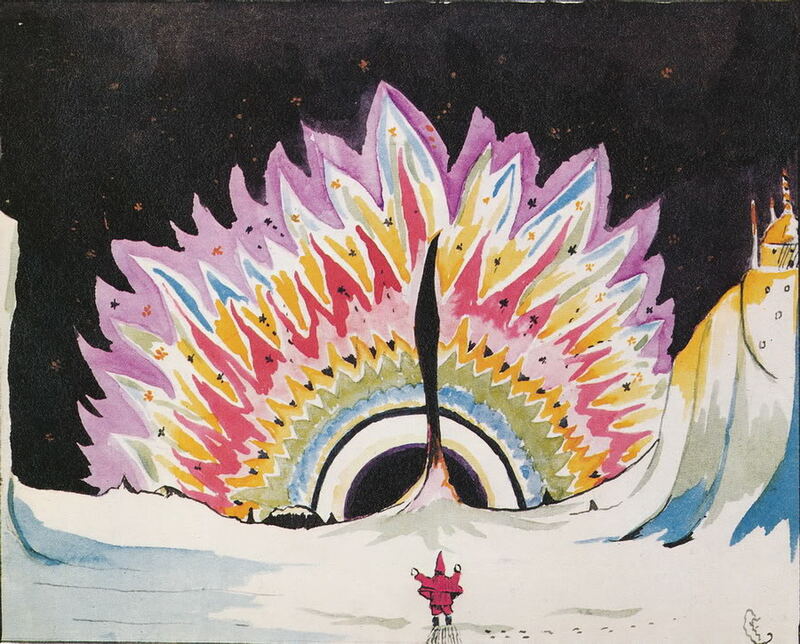 The reference to “letting off all the lights” was 1926, where the Polar Bear set off “the biggest bang in the world, and the most monstrous firework there has ever been.” Chaos ensued in the North Pole. The beautiful cover image is of the Aurora Borealis fireworks that only Santa Claus could keep in his basement. While most of the book is typescript, there are a couple of examples of copies of the original letters. Here is one in the introduction, a letter of 1933. 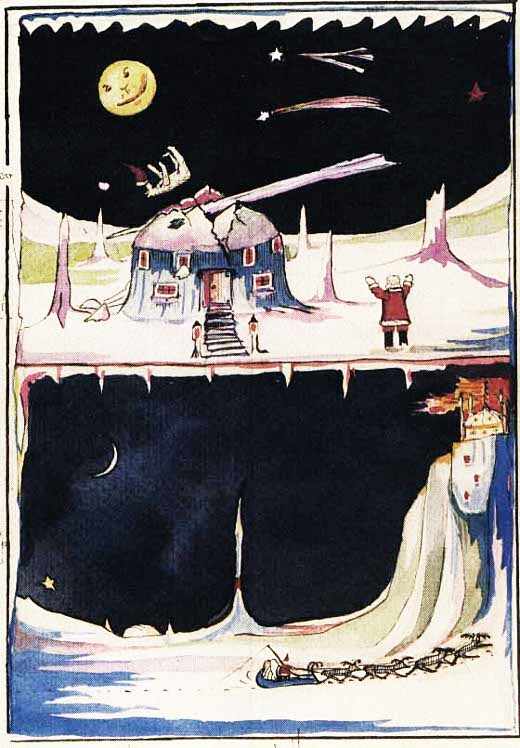 It tells of peril, where Christmas was almost lost to Goblin attack. 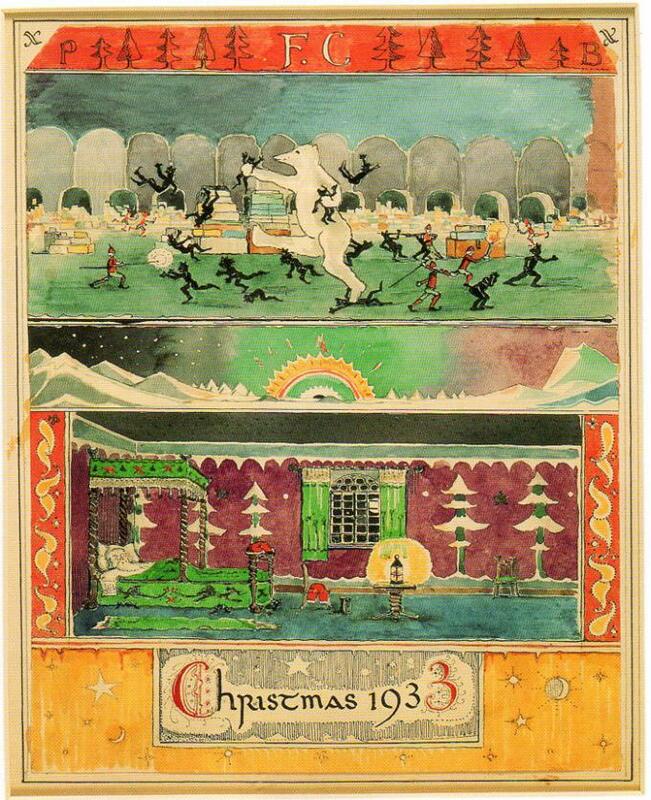 The Tolkien Christmas has more elements of violence than the average! This entry was posted in Letters, Memorable Quotes and tagged art, art of letter writing, children's literature, Christmas, Christopher Tolkien, fantasy, Father Christmas, J.R.R. 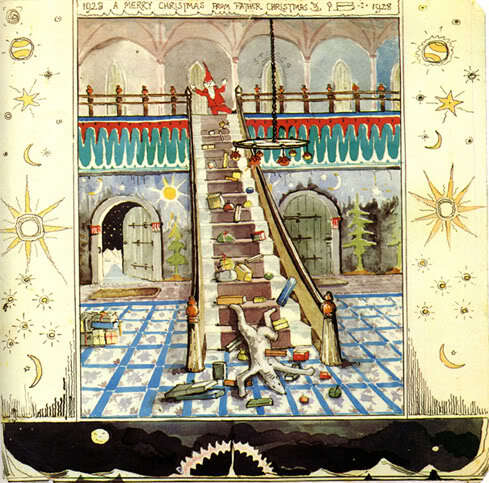 Tolkien, letters, literature, Lord of the Rings, myth, Santa Claus, writing. Bookmark the permalink. Love this book! Never got one and haven’t seen it in a while, so great to see your excerpts. Merry Christmas to you all! Never knew of the existence of this gem. Thanks for alerting me to it. And, may God grant a Merry Christmas and a blessed 2017 for you and your loved ones. Oh! I’m so glad you shared this with us! I am going to share with my brother this Christmas. Thank you and Merry Christmas! I still have a copy of the 1976 edition given to me by my grandmother soon after publication. What a great book it is! There is a later edition available, with some added new material and digitally-enhanced reproductions of the letters. We enjoyed reading the 1976 edition together day by day annually leading up to Christmas, as a sort of appendix to the Advent Calendar – the fuller, later editions would take some more planning but could surely also be enjoyed a letter or so per day in this way!